Will The Last Story Be Final Fantasy Creator's Last Game? Final Fantasy creator Hironobu Sakaguchi says the upcoming Wii release The Last Story won't necessarily be his last game but if it doesn't perform well, it might be. 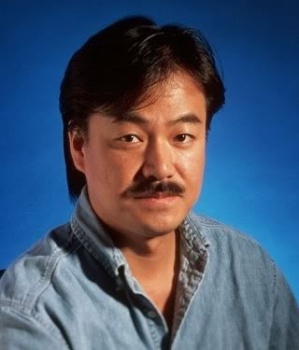 Sakaguchi apparently ruffled some feathers with comments on his development blog that The Last Story, the RPG he's currently developing for the Nintendo Wii, could be his last game. There was apparently something lost in translation, however, as he later clarified that what he actually meant is that he's simply approaching it as if will be his final work. But during a Q&A following a recent presentation of the game, he revealed that depending on how it flies, The Last Story could in fact be his last game, at least for a long while. "If the game is received poorly, perhaps my sense does not match with the times," he said. "In that case, while I won't go as far as 'I won't ever make games again,' it would be meaningless to make games for a while. With that feeling, I've given my all." "Received poorly" can mean many things; critics may love it and it could bomb at the register, or as might be more likely for a Wii game, it may take a critical drubbing and sell a truckload anyway. And there's no point in reading too much into the title, since there have been 14 Final Fantasies and numerous spin-offs. Being The Last Story doesn't mean it'll be the last story - unless, of course, it is. The Last Story is due out in Japan on January 27 exclusively for the Wii, but there's no word yet on when, or even if, the game will get a North American release.